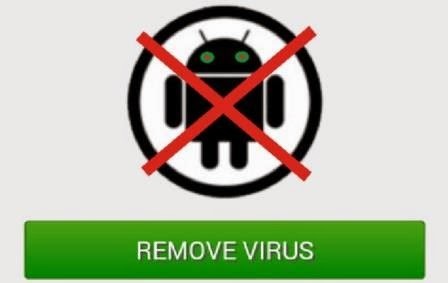 If at all your Android device has a virus, the good news is that it is very easy to remove it. Having said that and from my experiences, it is very unlikely that your android device has been infected with a virus. The loss of files (hidden files) and non-functioning apps that most people experienced are mainly from Windows infected PCs where the android device was recently pugged-in. Such “virus” can only be removed by a Windows Anti-virus or by formatting (or factory reset) and NEVER by Android anti-virus. Once in a while (especially when downloading) you may see a pop-up trying to convince you that your Android is under threat or slow and that you should download a scanner. NEVER EVER DOWNLOAD SUCH APPs because that might be the virus itself. Technically, there is no such thing as Android virus (that can attached itself to another program and spread havoc), rather what is common is just malicious software that you unintentionally install. Most android viruses are transmitted when you install a rogue app outside Playstore. If you are unsure, go to “Settings”, then under the “Security” menu, uncheck the box beside “allow installation of apps from unknown sources”. 1. Reboot your device to Safe Mode. Enter safe mode by pressing the “power” button, when the dialog comes up, tap and press on the “power off” option and tap ok to reboot to safe mode. This will prevent any third party app from running (including the rogue app) while you tackle the malware. 2. When the device has successfully reboot to safe mode, go to “Settings” > “Apps”, on the Downloaded list, go through the list of apps for any funny looking app that you know, you did not installed. 3. If you locate the rogue app, tap on it and uninstall it. That should delete the virus. However, in extreme cases where the uninstall button is greyed out; it means that the virus has hijack the device admin status. 4. In that case, go back to “Settings” > “Security” and locate the “Device Administrators”. All the apps with administrator rights will be listed here. Locate the rogue app from the list and uncheck the box beside the app, then tap “deactivate” on the next screen. 5. Once again, go back to “Settings” > “Apps” and locate the rogue app on the downloaded list of apps and uninstall it. Installing a good Android Anti-virus (like Avast or 360 Mobile security etc) can prevent any malware from hijacking the Device Administrator Status to cause havoc.